Something momentous is about to happen in the American military. In April, the Pentagon is requiring all branches to open combat jobs to women. This is a first, and a big change. 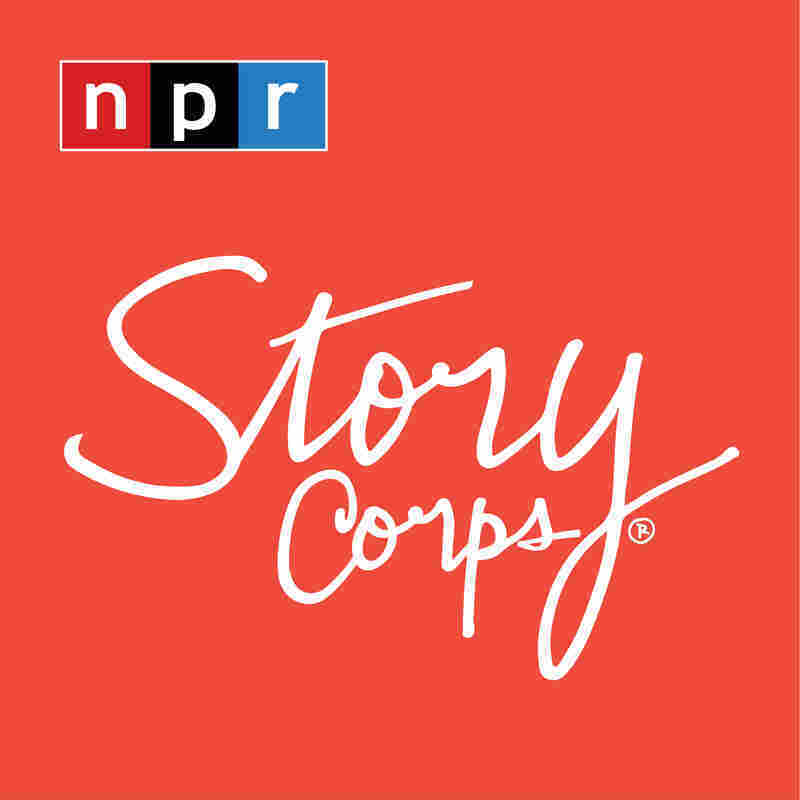 Today, we'll hear stories from two women who took part in the StoryCorps Military Voices Initiative. Back in 1973, when Captain Margie Finlay first enlisted, she entered a very different military. She talked with her son Nathan about her early years in the service. MARGIE FINLAY: There wasn't a whole lot of the physical stuff - the actual war-fighting stuff that guys did. We did not fire guns. We didn't go out and do an obstacle course or anything like. We actually had classes where they would bring in ladies that did make-up and hair. And we would practice how to dial a phone with a pencil. So I remember sitting there looking at all of us, thinking, this is kind of silly. I wanted to get out there and shoot a gun. I wanted to go into the dirt. But we weren't allowed to. NATHAN FINLAY: What happened after you got pregnant? M. FINLAY: You know, your dad - I needed his signature on a piece of paper to allow me to stay in. He turned around, looked at me and said, no mother of my children is going to wear combat boots. And I remember crying and begging him to sign the paper. The Sergeant that was there processing said, I can't let you stay in; your husband won't sign the permission slip. N. FINLAY: How did that make you feel? M. FINLAY: Kind of worthless, in a way. But I always missed it. I enjoyed the military. I did. So I rejoined in September 1993. GARCIA-NAVARRO: A few years later, she divorced her husband, and today, she is a captain in the Air National Guard. At around the same time that Captain Finlay rejoined the military, Denise Clancy joined the Navy. Here, she talks to her husband Shane. DENISE CLANCY: We have over 200 years of military service in my family. And when I made that decision and I called my grandfather, he cried. He had six grandkids, and even though I wasn't a boy, I was the only one that signed up. And I went to the U.S.S. Enterprise, where I met you. But they was such a small amount of women on the ship. And it was terrifying. SHANE CLANCY: While we were out there, men, including me, would make comments. And I'd like to think we didn't realize what our behavior was doing. D. CLANCY: I remember getting to know you because my senior chief had said that I wasn't allowed to leave the workspace without you because there was somebody that was walking the halls in the middle of the night sexually harassing the women that were on board. And that was tough. But I don't think I realized that until after I was out and having our girls and trying to raise strong women and hearing you say to me sometimes in front of them, well, yeah, but you weren't in the real Navy. I don't think that you'd even understood how our girls could perceive that. S. CLANCY: I mean, that was wrong. D. CLANCY: Even going out to dinner on Veteran's Day, we'll go someplace that's having a, you know, 10 percent discount for veterans. And they always offer it to you and never think about offering it to me. S. CLANCY: They just assume I'm the veteran. S. CLANCY: So if you're talking to a woman who's in her first day out of uniform, what advice do you give her? D. CLANCY: To be proud of her service and to not be afraid to say, I'm a female and I'm a veteran, and those two things are not mutually exclusive. GARCIA-NAVARRO: Voices from the StoryCorps Military Voices Initiative, recording stories with servicemembers and their families. You can hear more on the StoryCorps podcast. Get it at npr.org.